The second annual SkyfireConference for public safety drone operators will be kicking off in Burnet, Texas on February 28, 2018. The conference, focused on training firefighters, law enforcement officers and other first responders to use drone technology, is turning up the heat for its second year, doing a live-fire burn to demonstrate best practices for fire response. In addition to the live-burn, responders will train on simulated accident scenes, using drones to map out the area for evidentiary purposes and conduct search and rescue scenarios to find lost hikers. “These tools can be used in so many different ways,” said Sloane. “This is a chance for the people using the technology to practice all of it in one place. Many new technologies will be on display, including some from Verizon, who will be on-site to debut the newest addition to its response fleet called Response Innovation. “This technology enables an agency to expand its response fleet with highly specialized capabilities – off-road vehicles that can deliver emergency communications, autonomous vehicles that deliver medical supplies, and a 4D visualization software that provides a common operating picture between private sector and government agencies,” said Vol Montgomery, Reveille Peak’s owner, who will be hosting the Verizon team. The conference will also feature classroom sessions, including a presentation from Tim Herlocker, former director of the emergency operations center for FDNY, and the man responsible for the department’s drone program. Herlocker, now a senior adviser for Hoverfly Technologies, will also sit on a panel with Rob Topping, Hoverfly’s CEO, and Mr. Sloane to discuss how tethered drones are being used successfully in places like New York City for emergency response. Additional speakers include Coitt Kessler, program manager for the Austin Fire Department’s Robotic Emergency Deployment (RED) Team, who will discuss drone use during Hurricane Harvey; Gene Robinson and John Buell from DronePilot, who will share best practices from their decades of search and rescue experience; and Jon Wickersham, the emergency response program manager for Colonial Pipeline, talking about how drones are used to help industry and first responders deal with pipeline emergencies. Rounding out the presenters is Trooper Michael Darrow from Michigan State Police’s aviation wing, who will share his vast experience with large-scale accident scene mapping using UAVs; along with several other responders who use this technology regularly sharing their success stories. Members of public safety agencies, educational institutions, search and rescue groups and commercial drone operators are invited to register for the conference by going to SkyfireConference.com. Skyfire Consulting, a division of Atlanta Drone Group, Inc., offers drone equipment, public safety-focused training, FAA consulting, grant assistance and service/repairs to help the country’s first responders develop and maintain in-house drone programs for their departments. Atlanta Drone Group offers industry-leading drone services, including film and television aerial production, survey-grade mapping and emergency response aerial services. Drone Pilot Inc. was founded in 2014 to assist Public Safety agencies with standing up unmanned aerial programs, conducting UA Public Safety Operations with our active and retired public safety/military flight teams. The DPI Eyes Overhead© UA Public Safety Training and Certification Program was built from experience. 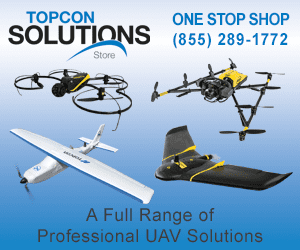 We have accurate information for public safety agencies looking for help with policies, laws, regulations, FAA/COA authority, deployment, and counter drone programs. No Replies to "Live Fire, Car Accidents on Tap for Skyfire Consulting's Second Drone Conference"